David Attenborough, Anthony Geffen, Martin Williams et al. This very special film sees award-winning writer, broadcaster and naturalist Sir David Attenborough talk to presenter Kirsty Young about his life and career as he approaches his 90th birthday. 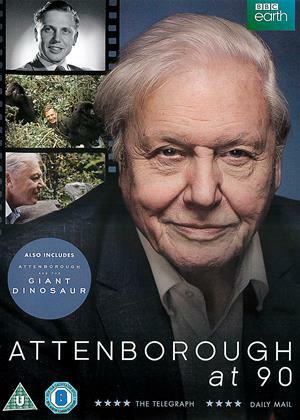 Filmed in front of a live audience and with special guests joining them on stage, Kirsty and David discuss the many pivotal moments of his life, from collecting fossils in the Lake District during his childhood through to his pioneering work on natural history programmes that have inspired, entertained and educated so many people around the world. David's fascinating stories are illustrated with footage from the BBC's extensive natural history archive, highlighting some of the most unforgettable moments of his career. 'Attenborough at 90' also uncovers the story behind each moment and finds out what happened after the cameras stopped rolling.